Büro Ole Scheeren has a team of seventy plus international architects and designers working together worldwide. Ole Scheeren is a German-born architect and the principal of Büro Ole Scheeren. His landmark projects shape the way we interact with our cities and generate new social narratives in highly integrative environments. 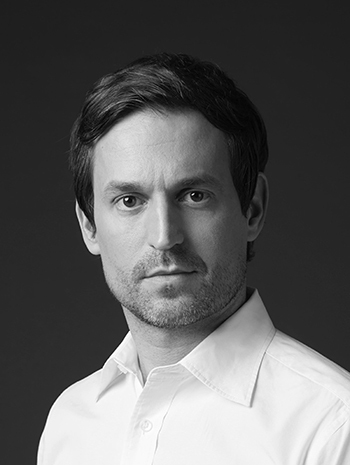 Scheeren is Büro-Ole Scheeren’s chief designer and responsible for steering the company’s creative vision and strategic development. His projects have won numerous awards, including World Building of the Year 2015 and the CTBUH Urban Habitat Award 2014 for The Interlace in Singapore, as well as the global CTBUH Best Tall Building Award 2013 for the CCTV Headquarters in Beijing. Highlighting the need for visionary, transformative solutions to the challenges facing contemporary society, Scheeren’s architecture is characterized by a 20 year commitment to grounding this idealism within pragmatic, highly successful, real world projects, including the completion of three major developments in 2017; the MahaNakhon skyscraper in Bangkok, the DUO mixed-use towers in Singapore, and the Guardian Art Center in Beijing. Büro Ole Scheeren’s large-scale projects are complemented by Scheeren’s independent collaborations with filmmakers and artists, as well as research projects exploring his personal interest in cinema, media and narrative space. He created Archipelago Cinema (2012); a floating auditorium in a lagoon on the Andaman Sea for Thailand’s Film on the Rocks festival (also featuring at the 2012 Architecture Biennale in Venice, Italy), and Mirage City Cinema (2013) for the Sharjah Art Foundation, paying homage to the Gulf city’s historic architecture. Prior to founding Büro Ole Scheeren, Scheeren was a director and partner at OMA, where he was responsible for the practice’s expansion into Asia as well as its work for Prada, with flagship stores in New York (2001) and Los Angeles (2004). Scheeren was also the partner-in-charge of the groundbreaking CCTV Headquarters for China’s national broadcaster in Beijing (2010). Subverting the traditional typology of the skyscraper, this monumental building challenges architectural convention and creates a giant loop of interconnected activities of people and the city. Alongside his architectural work, Scheeren has created exhibition designs for New York’s Museum of Modern Art and London’s Hayward Gallery, contributed to triennials in Beijing and Milan, and participated in the Rotterdam Film Festival. He has been a TED speaker and regularly lectures at international institutions and conferences, as well as serving on juries for architectural awards and competitions. Having lived and worked across Europe, the United States and Asia, Ole Scheeren was educated at the universities of Karlsruhe and Lausanne, and completed his studies at London’s Architectural Association. He was awarded the RIBA Silver Medal – the most prestigious European prize in architecture education. 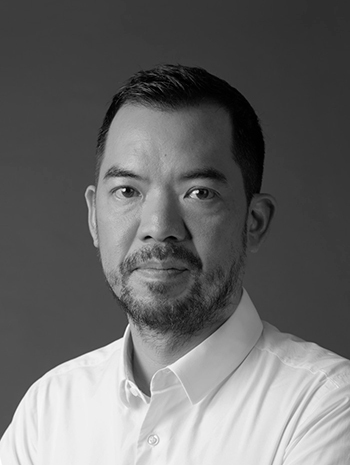 Eric Chang is Partner at Buro Ole Scheeren and has been collaborating on the management and design of numerous projects with Ole Scheeren for over 15 years. Eric is an American with a Bachelor in Philosophy and Fine Arts and received his Master of Architecture from Yale University. 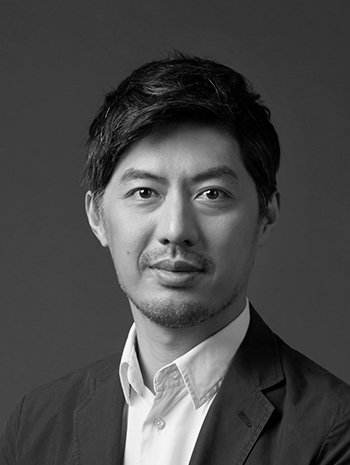 At Buro-OS, Eric Chang manages the operations of many of the ongoing projects, including the Guardian Art Center in Beijing; MahaNakhon in Bangkok; the large-scale urban development DUO in Singapore; 1500 West Georgia and Barclay Village in Vancouver; and Empire City in Ho Chi Minh City. Previous projects with Ole Scheeren at OMA include The Interlace, The Scotts Tower, the Beijing Books Building, as well as the Prada Epicenters in New York and Los Angeles. After completing his master’s degree, Eric Chang joined Gluckman Mayner Architects in New York where he worked on the design of the Mori Arts Center in Tokyo, the Helmut Lang and Yves Saint Laurent boutiques in New York, as well as the Light Projects for the Pittsburgh Cultural Trust, and Peacekeeper’s Memorial at the UN headquarters in New York. 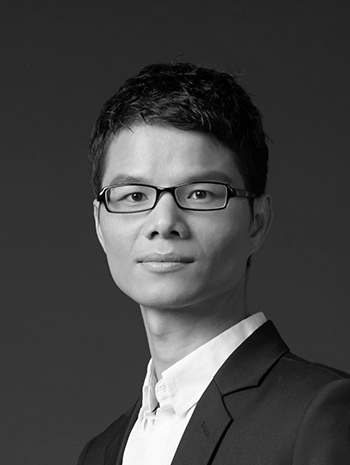 Between 2004 and 2010, Eric was an Associate at OMA and General Manager of OMA’s Beijing office. Dan Cheong is Partner at Buro Ole Scheeren and has collaborated with Ole Scheeren and Eric Chang on a long list of projects over the past decade. He has worked with Buro-OS since its inception in 2010, and became an Associate in 2011. At Buro-OS, Dan has led the design teams of many of the firm’s past and ongoing projects, including competitions, realizations and conceptual studies. Prior to joining Buro-OS, Dan worked as an architect at OMA in Beijing, and at Hanrahan Meyers Architects in New York City, with project experiences across a wide range of scales and programs with involvement in various design and construction stages. Dan Cheong holds a Master of Architecture with Distinction from Harvard University. 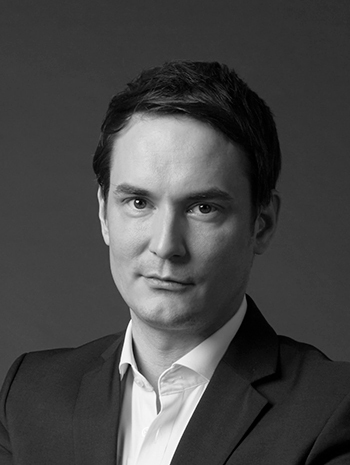 Sampsa Karhunen is Chief Financial Officer at Buro-OS and brings extensive experience from his background in financial markets to oversee the business operations of the company. He has held various positions in investment banking, latest as a senior equity research analyst in London. He joined Buro-OS to support its growth and expansion to new geographic areas. Sampsa Karhunen holds an M. Sc. degree in Economics and Business Administration from the Helsinki School of Economics at Aalto University. Jaturon Kingminghae is Managing Director of Buro-OS Thailand and joined Buro-OS in 2012. He leads the Bangkok studio, focused on the design and construction of the MahaNakhon tower, the design of the Empire City in Ho Chi Minh City, and Buro-OS expanding work in Thailand. 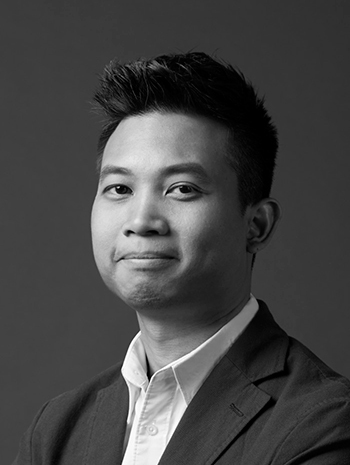 After graduating from Chulalongkorn Univeristy with awards from the Association of Siamese Architects, Dave worked at DBALP in Bangkok on high-rise hotel and residential projects, and at Atkins China on large-scale urban design and mixed-use developments. Dave is a regular visiting critic for the International Program in Design and Architecture at Chulalongkorn University and a registered architect in Thailand (ACT, ASA) since 2005. David Moore is the Executive Vice President of OS Development in New York; he is a Licensed Architect in the State of New York and has overseen all projects for OS Development and managed the company since its inception in 2015. David has a Bachelor of Arts from the University of Pennsylvania and a Master of Architecture from Columbia University. For OS Development, David has managed the redevelopment and brand expansion for Dean & DeLuca, overseeing all design and construction projects for the brand. This includes the new Dean & DeLuca Stage brand that will be expanding nationally and globally. Additionally, David has overseen the expansion of the US business and collaborated on the development of a $1B ground up hotel project for a prominent US client that is currently on hold. Prior to OS Development, David was a Director at Gardiner & Theobald, a project and cost management firm in New York. At G&T David oversaw many large-scale projects in various sectors including the Coach Global Headquarters at Hudson Yards and the Knickerbocker Hotel on Times Square. 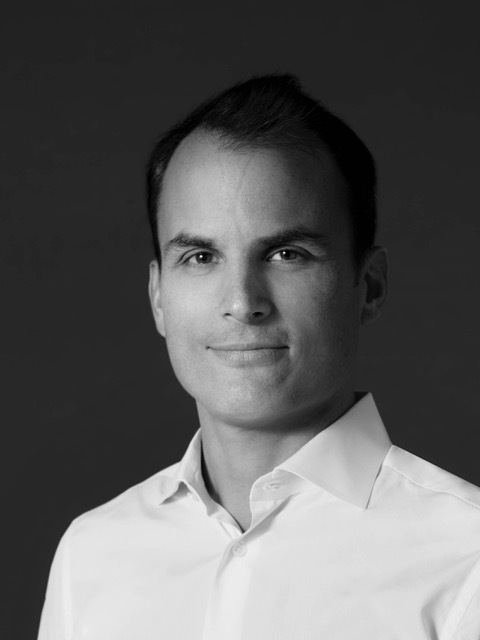 Prior to G&T, David worked in multiple development and management positions in the design and construction industry including for: OMA, Ian Schrager, Hospitality 3 Developers, Prada and JT Magen Construction Managers. Kevin Ou has been working with Ole Scheeren for more than 10 years as Personal Assistant and Public Relations Manager. He is working across multiple aspects of the office’s activities, including client relations, business development, and office administration. Kevin is also a highly skilled translator and mediator between Western and Chinese culture. Prior to working for Ole Scheeren, he was a journalist for a leading Chinese magazine, Modern Weekly, writing and reporting on art and culture across China.